After sitting through three disappointing prequels, there's a New Hope on the horizon. Three new Star Wars films are coming, and they'll star all of our favorite. 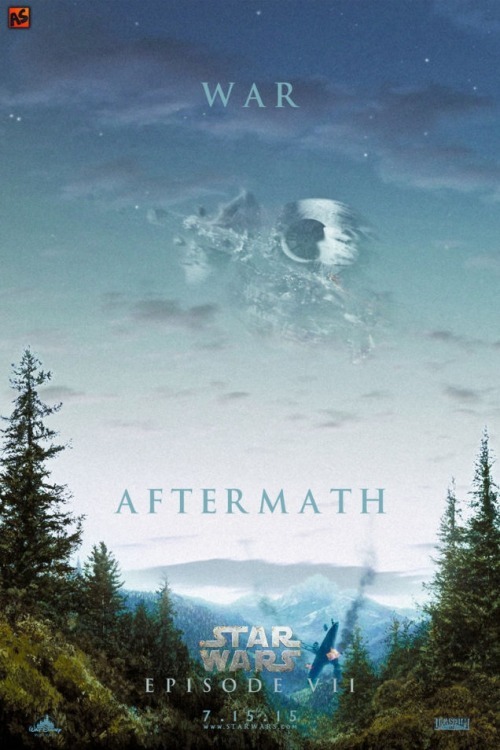 In anticipation, AndrewSS7 has created a fantastic series for the trilogy's first installment, imagining that the next film will pick up right after the battle of Endor. They're early efforts, given that we don't have any new material to work with, but I think that they're channelling exactly the kind of look and feel we’re all hoping will return to the Star Wars franchise. "On this one you can observe Millenium Falcon and some X-Wings [flying over Endor?] being damaged after the Battle of Endor." "The second teaser poster for the "Star Wars. 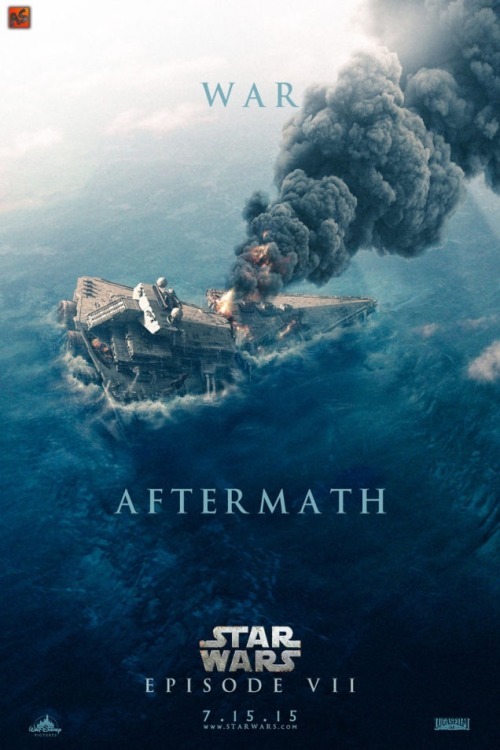 Episode VII" features 'after-episode-VII scene' with the destroyed and fallen in the sea Empire Star Destroyer." 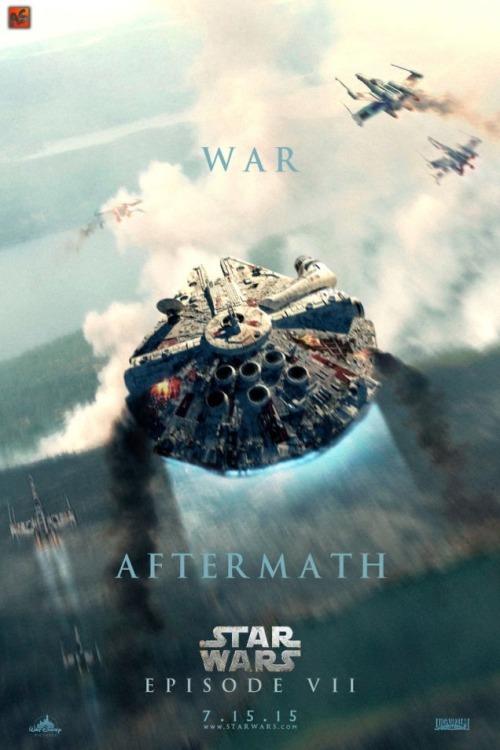 "The third teaser poster for "Star Wars Episode VII" featuring the scene [of my imagination] after the Battle of Endor: Death Star II and the shield generator are destroyed so all the ewoks live happily ever after."